Having the opportunity to handle original flintlocks in collections and museums has given me an appreciation for the way they were built in the 18th century. 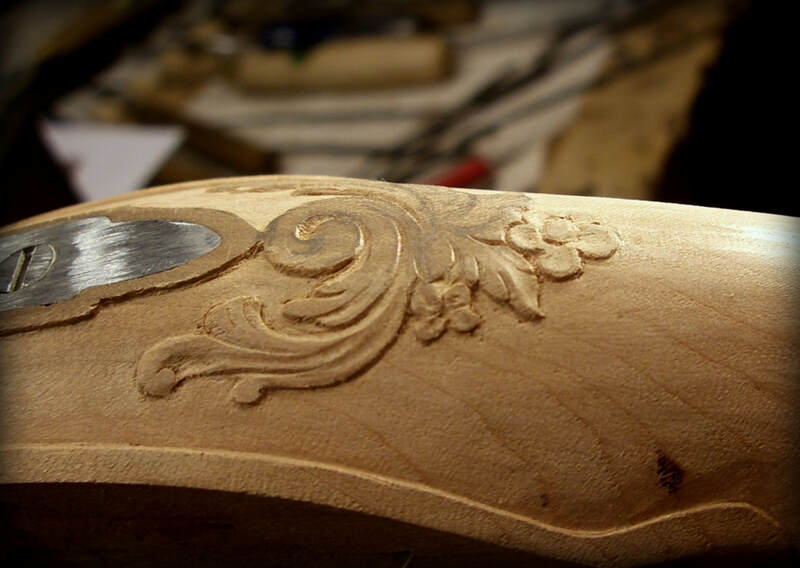 As I became more comfortable with the techniques and hand tools used by original gunsmiths, I developed a keen interest in the little details that made each original piece unique - from small architectural details specific to each gunsmith, to tool marks left in the stock by the maker's hand that would drive many 21st-century perfectionists mad. Each original flintlock tells a story about its history, prior owners, and the gunsmith who built it 200 years ago. Though often more time consuming, I believe that using original tools and stains results in a much more authentic looking and feeling finished product. In a world overrun by electronics and "beating the clock" schedules, building flintlocks is my way of returning to simpler times. These are individually crafted pieces, and no two will ever be identical. My hope is that in two hundred years someone may pick up one of my pieces and wonder, "What stories can this tell?"